UPDATE: Sal’s Family Pizza in Franklin, TN—Better By the Slice? 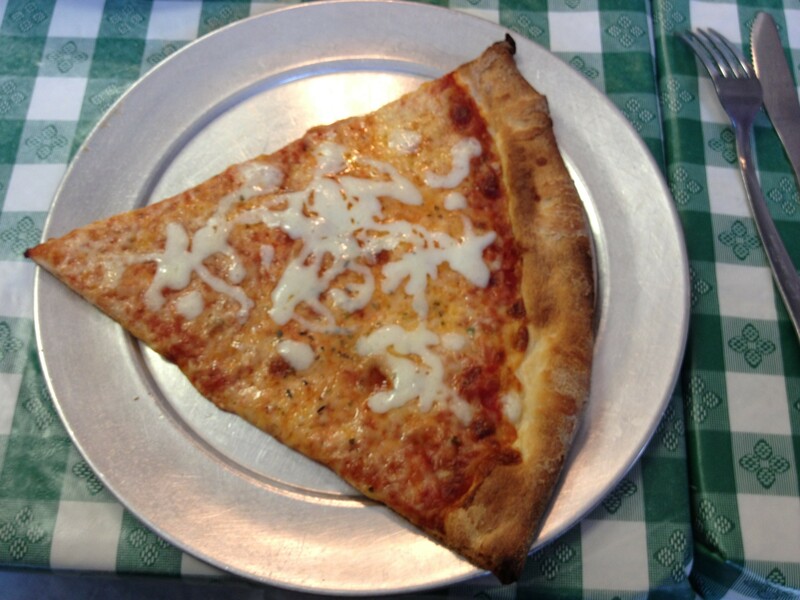 It had been a long time since I had some hometown pie at Sal’s Family Pizza. Chalk it up to a mediocre experience last time out and an abundance of new places to try. I recently needed a meeting place for a bunch of computer geeks (self included–long story) and thought that Sal’s would be the perfect location. Although I was the only one to get pizza, the cheese slice I had as a starter to my chicken parm dinner left me pleasantly surprised. Last visit, my whole pie experience felt a little too heavily cheesed and doughy. But, this latest thin and crispy effort made Sal’s clearly worthy of an upgrade. In this world of competitive pizza, it’s the slice that matters, and Sal’s scored! Although my wide and thin slice was hidden from my preview, the “test-cheese” on top made it evident that it went through a reheat—a good one for that matter. My slice was tastefully chewy and crisp making me sorry I didn’t order another. Although it was a tad soggy, it had a delightfully crunchy end crust. Delicious cheese and sauce had me thinking for a minute that I was in New Jersey. I know that next time I’m driving past Sal’s I will find it hard to not stop in for a quick one!